Separating from your partner is often a traumatic experience and not many people know where to start. At JNT Legal we have highly experienced solicitors who can provide family law advice for both married and de-facto couples who have already separated and or parties who are contemplating separation and want to know the process. The Family Court and Federal Circuit Court is where parties have their family law matter heard. Unfortunately however both Courts are presently overloaded with parties who have been unable to resolve their dispute by consent and are seeking the Court determine their matter. As a result some parties end up in the Court system for years before their matter is finally determined. 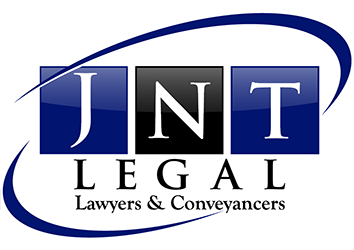 At JNT Legal our first aim to try to resolve children and or property issues by mutual agreement. Should the parties come to an agreement, then we can prepare Consent Orders or a Binding Financial Agreement giving effect to the agreement reached. The major benefits of the parties being able to resolve their dispute by consent is that it avoids years of costly litigation, the delay associated with parties not receiving their share of the assets, can in some cases preserve what is left of the parties relationship and in children’s matters, avoids having to bring children in for interviews. If you have any enquiries in relation to your family law matter, then please contact us our office and arrange a time to attend with one of our experienced family lawyers. JNT Legal incorporated B A Swane which was established in 1979. JNT Legal operates in the Engadine area and provides a wide range of affordable, quality legal services to a large client base.